In the following, it is important to distinguish between “retiring” and “become emeritus.” Retirement is human resources event whereas becoming emeritus is an academic event. The Office of Human Resources maintains a pre-retirement planning webpage with links to many important resources. Financial planning and health care planning are central. A good place to start are the benefit overviews for endowed faculty and for contract college faculty. 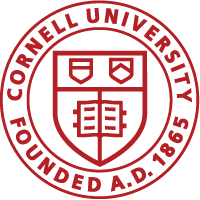 Other valuable sources of information about retirement are colleagues who have recently gone through the process, the Cornell Academics and Professors Emeriti (CAPE), and Cornell Retirees Association (CRA). It is never too early to begin thinking about the finances associated with retirement. Interaction with Medicare is required several months before your 65th birthday. Eligible faculty members who are less than seventy years old may choose to reduce their job duties prior to retirement. This is called phased retirement and it requires a signed mutual agreement between you, your department, and the dean of your college. The agreement identifies an official retirement date, a workload percent, and the responsibilities that must be discharged during the phased retirement period. If the workload percent is (for example) 75%, then you would receive 75% of your normal salary. In addition to providing a nice transition to full retirement, a phased retirement has economic value because the university continues to pay benefits as if you were a full-time faculty member. There is a measure of non-uniformity across the colleges in terms of just who participates with the candidate during the retirement process. A good way to find out the local arrangements that apply to you is to have a conversation with your college HR representative. Department managers and associate deans may also be involved at various stages in the process. Establish clear communication channels to all who are involved. These discussions are typically spread out over time. They should be initiated at least one year before you decide to retire or one year before you decide to enter phased retirement. The idea is for the Chair and the candidate to reach an understanding about resources and other key issues that are of mutual importance. anticipated academic interests that may be pursued after retirement. the current state of graduate student supervision, how it might continue or wind down. the current state of external funding, how it might continue or wind down. the state of all discretionary funding accounts and they might be utilized after retirement. plans for a sabbatical leave before retiring. the desired level of participation in department business, e.g., staying on mailing lists. the desired level of participation in college business, e.g., staying on mailing lists. the likelihood of living in the Ithaca area full time, part time, or not at all. all of the above in the context of some phased retirement agreement. organizing a recognition event to show appreciation. the process for becoming emeritus/a. where to get answers to HR-related questions, typically HR office in the candidate’s College. the extent to which the department can supply administrative and IT support. the rules associated with attending department meetings and voting on such matters as hiring and promotion. the process for accessing the $2K reimbursement account. hire-back possibilities that relate to teaching, advising, outreach, and administration. how the dean must authorize the continued use of an endowed chair, both as a title and as a possible source of future funding. what a phased retirement arrangement might look like. The dialog with the Chair eventually leads to a retirement agreement. Conversations with central HR or with the College HR person are sometimes part of the process. If there is a phased retirement plan, it is detailed in writing and signed by the candidate, the chair, and the dean. If there are resource issues associated with full retirement, then they too must be put in writing and signed by the candidate, chair, and dean. If there is a request for emeritus/a status, then it can only be filed after there is an official retirement date. A guarantee of emeritus/a status is never part a retirement agreement. Benefit Services will contact you with information about the health care plan for retirees and related matters such as Medicare Parts A, B, and D. They will also describe various life insurance issues that require your attention. Just after you retire visit B-07 Day Hall to pick your new Cornell ID. As the case may be, it will identify you as a retired academic or as an emeritus/a faculty member. There are several issues that need to be considered should you return to work at Cornell, especially if your position pays benefits. Having a conversation with your College’s HR office is essential. If you return to a benefits-eligible position at Cornell, Aetna will not permit you to remain enrolled in a retiree health plan. TheRetiree Service Center will need to be informed – the health insurance you hold due to retiree status for yourself and your covered dependents will need to be terminated, and you will be required to enroll in an active employer health plan. The active employer plan will be primary and Medicare secondary. If you are Medicare-eligible, you will need to review carefully if you want to continue your enrollment in Medicare Part B. You will need to discuss this with Social Security and be sure you understand Social Security’s rules for starting and stopping Medicare Part B enrollment since penalties exist if you make any mistakes, or act on assumptions. When you return to retirement, you and your covered dependents must return to the retiree health plans. If you and/or a dependent are over the age of 65, you will be re-enrolled in the Retiree 80/20 Plan. Or, if you and/or your dependents are under age 65 you will be enrolled in the Retirement Pre-Medicare Health Plan (RPHP). If you or your dependents stopped Medicare Part B enrollment, you’ll need to be sure to contact Social Security well in advance to re-enroll in Medicare Part B to avoid penalties.